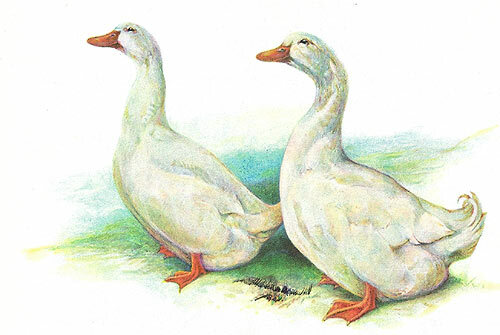 The White Pekin duck originated in China and was brough to the western world in the mid-1800s. Pekins are a creamy white fowl with yellow skin and large breasts. 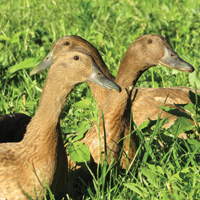 Their fine meat quality and egg-laying ability has made them the first choice of American duck growers. 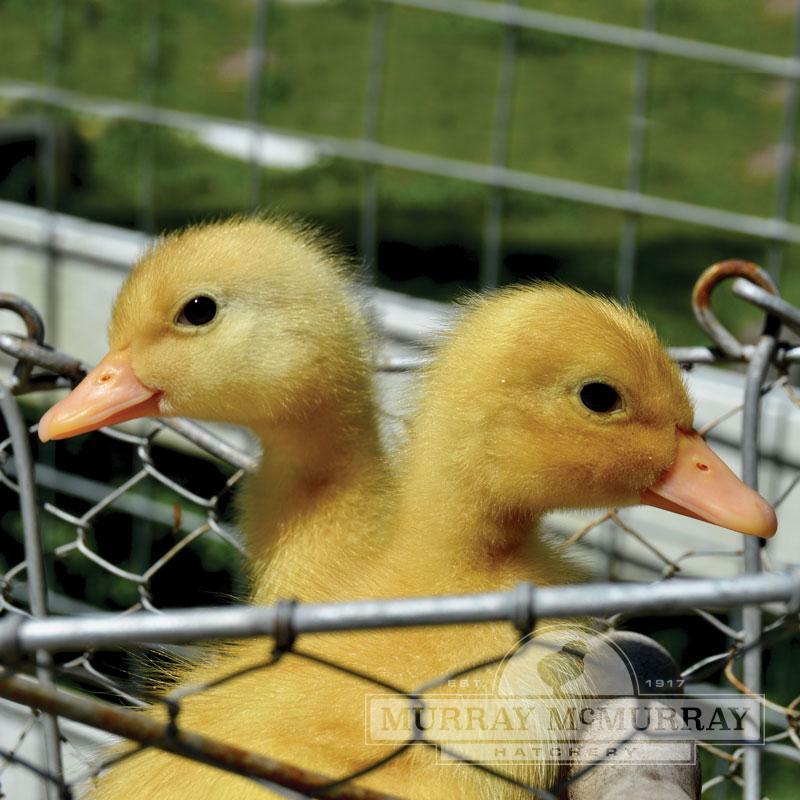 They are the easiest domestic ducks to process and prepare for meat production. Male Pekins carry a Fall weight of up to 13 pounds, and the females weigh about 7 pounds. 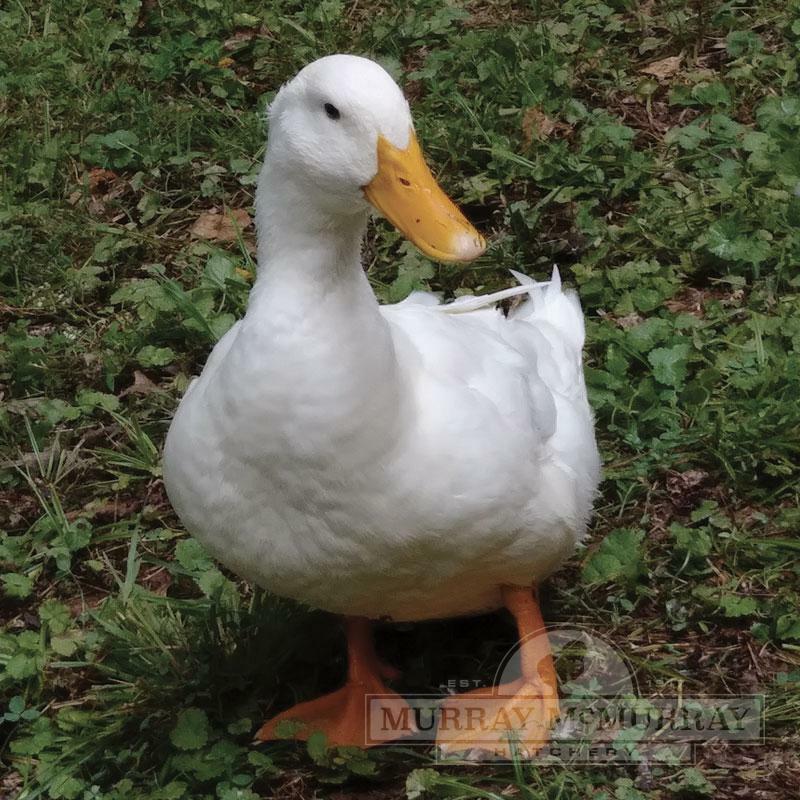 Do you have a guarantee on female ducks? We have a 90% sexing guarantee on all the sexed breeds we sell. 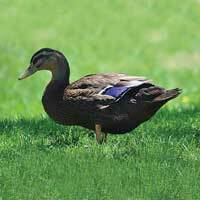 How can you tell a male Pekin duck from the females. It can take several weeks before you are able to identify males. They will have a curl on their tail feathers. How big are Pekin Ducks on delivery? 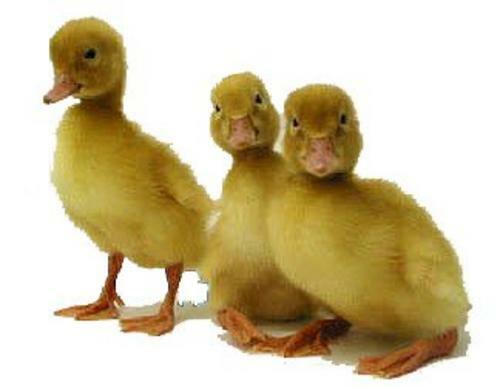 They are newly-hatched ducks, so they will be small upon delivery. Under average conditions, what would be the average amount of eggs from Pekin duck be in a year's time? 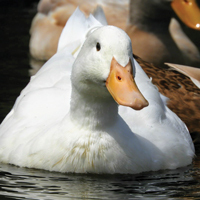 The average egg production of White Pekin ducks is 140-220 eggs/year. 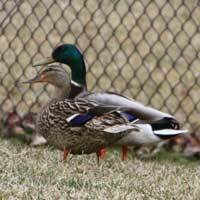 I love my Ducks, but.....Pekin Ducks have a lot of personality, but they have two major faults. 1. They are very loud! I don't mean cute loud, I mean ear piercing loud. They will give you hell if you don't feed them on time. 2. 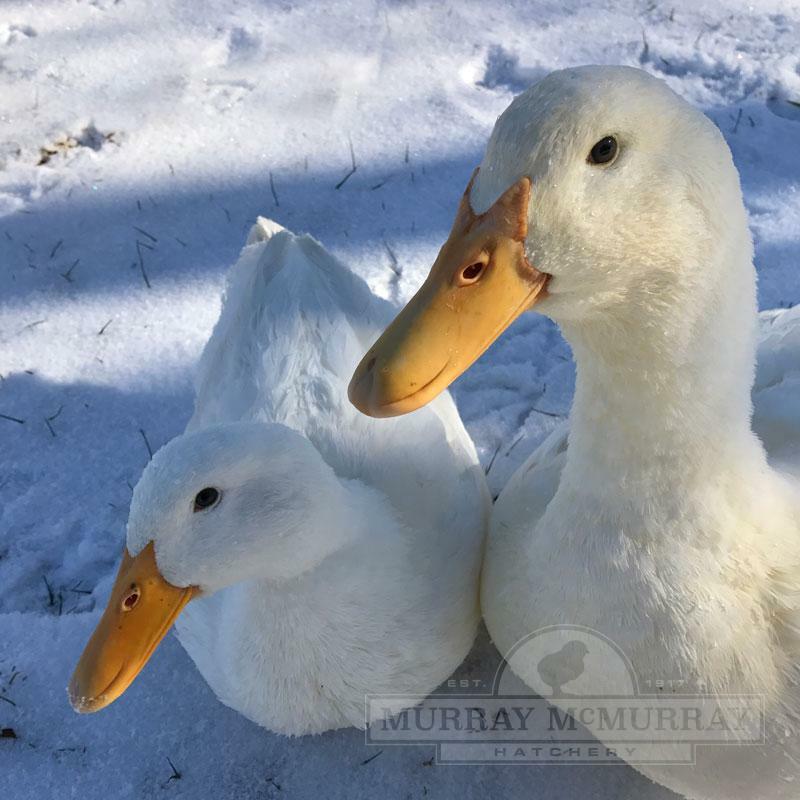 Sadly, they aren't as hardy as the other breed of ducks I have had.